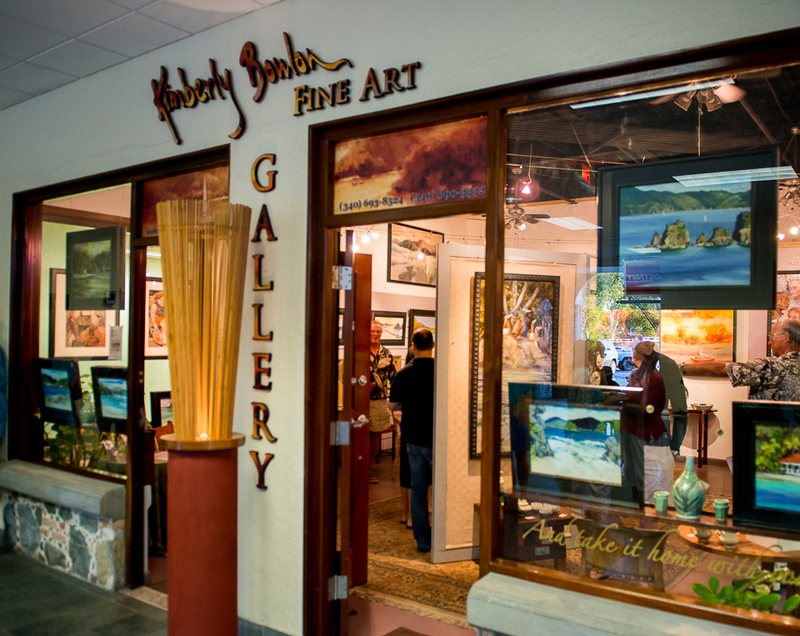 Come visit our Gallery on the second floor of the MarketPlace in Cruz Bay, St. John, U.S. Virgin Islands. We are open Tuesday, Thursday and Friday (December though March) from 9:30AM to 5PM or you may call for an appointment (340-693-8524). The Gallery showcases Kimberly's fine art paintings as well as ceramics by Gail Van de Bogurt, Casey Giakas, and Helen Dunkerley; fine jewelry by Kimberly Noguiera; bronze and stone mosaics by John Van de Water; bronze and stone sculptures by David Moser and lightecture by George Hollander. All graphic design is by William Stelzer. The Gallery was voted on and won the Daily News 2013 Best New Business on St. John and the 2014 and 2015 Best Fine Arts on St. John.